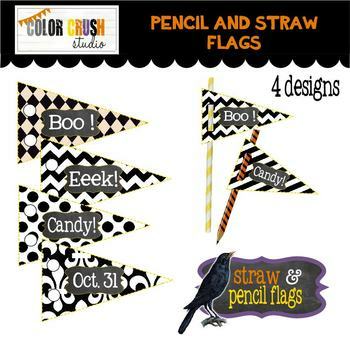 Celebrate Halloween by adding these whimsical flags to pencils or straws. 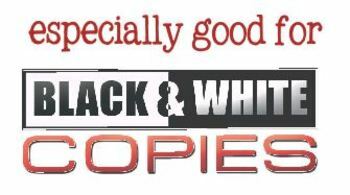 These cute little numbers can be printed in color OR black and white with wonderful results. 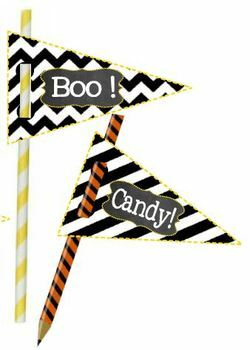 You could even use colored paper for a super cute look. But the fun doesn't stop there! 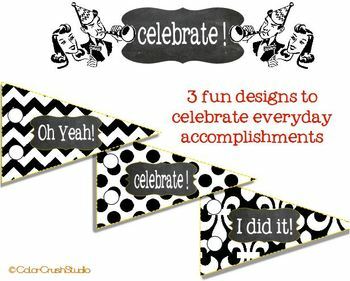 This download includes a free BONUS page with flags that can be used for every day celebrations.